Is Romania Making a U-Turn? Reforms by themselves are not difficult. What is difficult in the Eastern part of the EU is to come to the realisation that they are necessary. 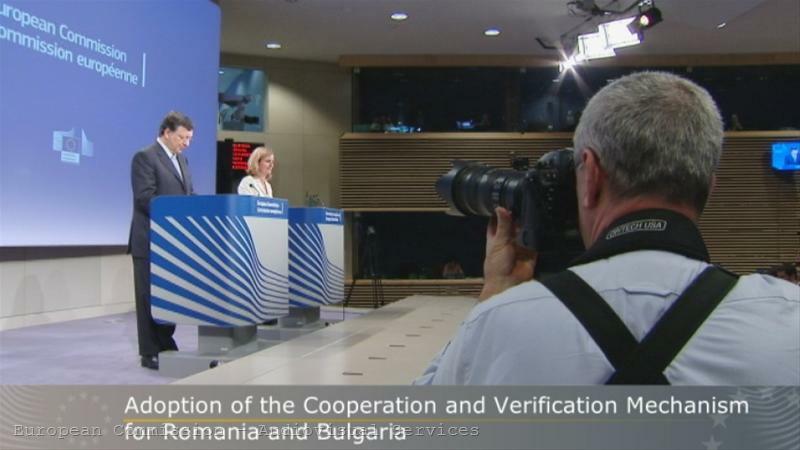 This is the conclusion I draw from the report of all reports - the summary of the five years of functioning of the Control and Verification Mechanism (CVM), with which Bulgaria and Romania were accepted in the EU in 2007 under conditionality because they had not managed to complete successfully and in a sustainable manner the process of pre-accession reforms in the toughest possible area - justice and home affairs - and there were fears that, if the two countries were not accepted in the EU because of this, the reforms could get stuck. Although this thesis is quite contestable, I am deeply convinced that if it was not for the CVM and the EU membership the situation in Bulgaria (but Romania as well) would have been much worse than it is now. The Commission realises this and reports it in its current report. This is why the mechanism will stay. There is, however, one big 'but', which will be the biggest challenge mainly for the Commission - in what way will the Commission continue to use this mechanism? The answer to this question is of utmost significance because with its summary the Commission has already scored its first failure by demonstrating softness for Bulgaria, reacting much sharper on Romania. At first glance, Brussels has its reasons but this is only at first sight. A deeper analysis of the report shows that the focus is entirely shifted on the recently unfolded political crisis in Romania, provoked by the conflict between the young prime minister-socialist, Victor Ponta, and the long serving president Traian Basescu, which escalated in an open war with the Constitutional court, impeachment of the head of state and attempts for constitutional and other legal changes. It is a fact that the Commission does not have at its disposal a tool box (mainly legal) to allow it to do anything more than this but there should have been more balance as in Romania's report (between the political crisis and the overall 5-year reforming of the judiciary and the law enforcement), so between the Romanian and the Bulgarian report. The way the document is written, it conveys the following message: that Romania, although hesitantly, with tides and ebbs, had been going in the right direction but the political crisis in Bucharest put into question whether the country was in fact doing a U-turn. "Nevertheless, this report is adopted at a time when serious concerns are raised with regard to respect for rule of law and the independence of the judiciary in Romania", is written in the introduction to the political part of the report. In fact, what is more important is not that Romania might be making a U-turn, but the reasons that led such a possibility. It is those reasons that need to be much more seriously analysed as by the Commission, so by the member states and the societies of the 'sick' countries under surveillance. According to the EC, the "political challenges to judicial decisions, the undermining of the constitutional court, the overturning of established procedures and the removal of key checks and balances have called into question the Government's commitment to respect the rule of law and independent judicial review. The Commission is in particular extremely concerned by the indications of manipulations and threats which affect institutions, members of the judiciary, and eventually have a serious impact on society as a whole". The report is as honest as it had to be throughout these 5 years until now but in the end of the day who could have guessed then that Romania would prove so resistant to reforms and peer reviews. The country's efforts are praised to undertake an ambitious legislative programme, which however ends up with frequent repairs of the adopted texts and their weakening in practise - processes which happen as if under carbon paper in neighbouring Bulgaria too. 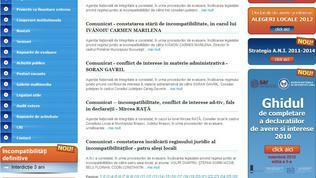 Very eloquent are the examples of the two key bodies which Romania has established to fight high level corruption. The National Anti-Corruption Directorate (DNA) has been created with the aim to investigate and prosecute high level corruption and is perceived as one of the most significant achievements of the country after its EU accession, in terms of the CVM benchmarks. The agency manages to produce a constantly growing number of indictments every year and the investigations take place quickly and pro-actively, the Commission reports. But, "by virtue of the Romanian Constitution, as interpreted through the jurisprudence of the Constitutional Court, Parliamentary approval is required to authorise the arrest or search of parliamentarians, and is also required to approve the opening of criminal investigations against parliamentarians who are current or former Ministers. Refusal of the Parliament to allow the opening of criminal investigations in such cases generates a de facto immunity from criminal investigation and in turn blocks the course of justice. Since 2007 a number of MPs, including a former Prime Minister, have been shielded from criminal investigation by the Parliament’s refusals to allow the opening of criminal investigations. The fact that Parliament does not motivate refusals to allow the opening of criminal investigations makes it difficult to establish the objectivity of decisions. In addition, the fact that parliamentarians can still sit whilst also convicted of serious offences like corruption damages the reputation of Parliament – many parliamentary systems have the practise of suspending parliamentarians at indictment in such cases, and exclusion on conviction", is the EC's assessment. The second example is with integrity, which is a frequently discussed category in Bulgaria too but is still unresolved. 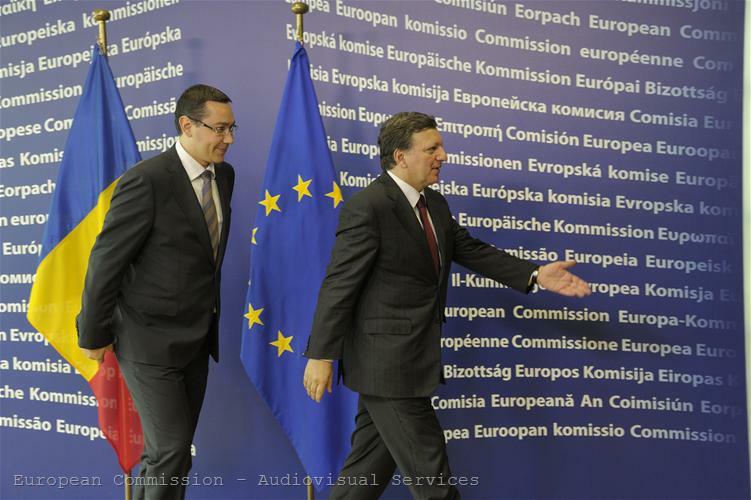 The Commission recalls that Romania had agreed for the sake of its EU accession to create legal and institutional framework for prevention and sanctioning of corruption, focusing especially on incompatibility, conflict of interest and unjustified wealth. For the purpose was created an agency with a special name - National Integrity Agency - which verifies situations of conflict of interest, incompatibility or potential cases of unjustified wealth of public figures or elected politicians. 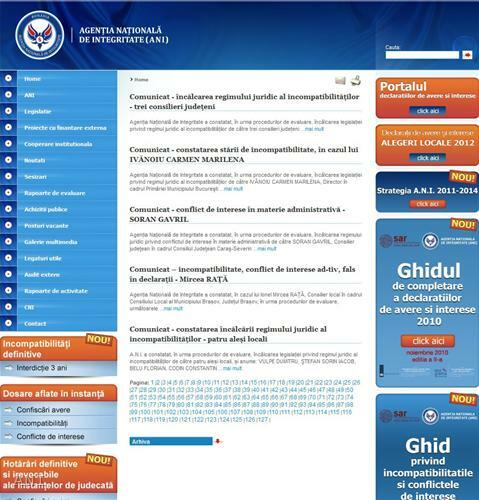 The agency with the nicely sounding in Romanian name ANI has been established back in 2007 and quickly started operations but, as usually happens on the axis Sofia-Bucharest, it gets stuck in the unreformed judiciary system and also in constant amending of its legal base. "The debate on how to amend ANI's legal basis revealed that the political will to effectively tackle integrity and to fulfil accession commitments was shallow", are the report's findings. It is hardly necessary to mention any details from the work of the Mechanism for the five years from accession up to date under the four benchmarks for Romania (for Bulgaria they are 6 and include fight against organised crime). The reason is that in fact the work on all the four benchmarks is stumbled by reluctance or as it is politically correct to say - by the lack of political will of the political forces to get rid once and for all of their egoism and do something for the sake of the Romanian society. And not only. Entirely as if for beginners (of democratism), the EC has clearly stated: "The trust of Romania's partners in the EU will only be won back through proof that the rule of law is above party interests, that all sides show full respect for judicial review including at constitutional level, and that the reforms are irreversible. This needs legal steps – it also requires a political commitment to the rule of law that has been absent from recent decisions". For sure the EC's work on healing Bulgaria and Romania from their hard communist legacy could be better. And for sure until now it has not been a failure, as it probably seems to some. On the contrary - the enlargement policy of the EU has done enormous job by attracting into the orbit of democratism and freedom countries whose alternative future can be clearly seen through the examples of Belarus or even Ukraine. What is important from now on is how to continue forward so that the EU itself is not being stumbled by slower evolutionary processes in its separate elements. 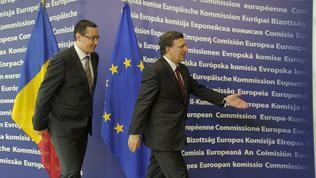 "Today's European Union is highly interdependent. There is a strong common interest in issues like the rule of law", the EC writes in its report on Romania and quotes a special accompanying the report Eurobarometer poll, according to which 76 per cent of the Romanian citizens support the EU in its efforts to help Romania tackle corruption and the shortcomings in its judiciary. This public support is an essential starting point because the current economic troubles of the EU and the eurozone in particular clearly demonstrate what happens to a machine the elements of which do not move in synchronous with one another. The right approach has to be chosen to allow the Union to move forward without falling apart and without putting an end to what has been achieved so far. A challenge the Union has never faced and which it has to deal with.